Tegan Fitzsimon and her team of horses head to the Glistening Waters Jumping Championships and ESNZ Jumping Series Grand Final Show with three crowns already in the bag. The Canterbury rider has had a near dream season, earlier winning the FEI World Cup (NZ) Series, and already secured the ESNZ Premier League, Equissage Horse Grand Prix and the ESNZ Eight-Year-Old series, but there are another 350-plus combinations chasing honours across a raft of other series. Emma Watson (Morrinsville) and Maddox Fun House have already won the Country TV Pony Grand Prix Series in their last season together. Their victory is even more special as they become the first combination to win the series three years on the trot. Melody Matheson (Hastings) is the winner of the Main-Events University Series while Christchurch teen Steffi Whittaker who sadly lost Eros K last month were still runaway winners of the EquiBreed Leading New Zealand Stallion Series. 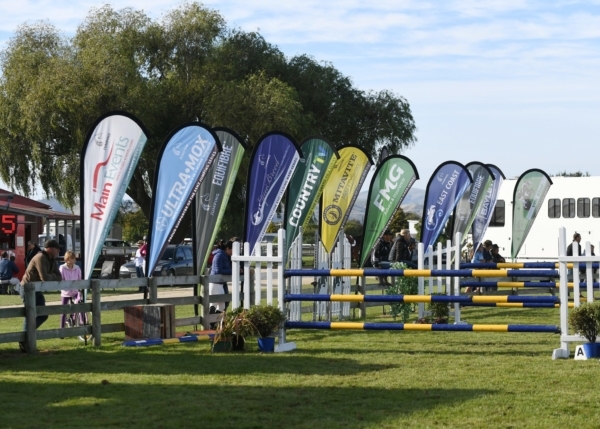 But there is still plenty to play for with horses and riders coming from all over the country for the grand finale of the jumping season, being held at the Solway Showgrounds in Masterton April 5-7. Some of the leaderboards are locked at the top with the finals promising to come right down to the wire to find the series winners. Still to be decided the FMG Young Rider, Dunstan Horsefeeds and Equifibre Junior and Pro-Amateur riders, Hinterland Amateur Rider, Matthews Hanoverians Seven-Year-Old, Mitavite Speedi-Beet Six-Year-Old, East Coast Performance Horses Five-Year-Old, and EquiBreed NZ and VDL Top Ranking Mare series. International designer Gerrit Beker (Tauranga) will be challenging competitors with his courses which are always popular with riders and spectators alike.